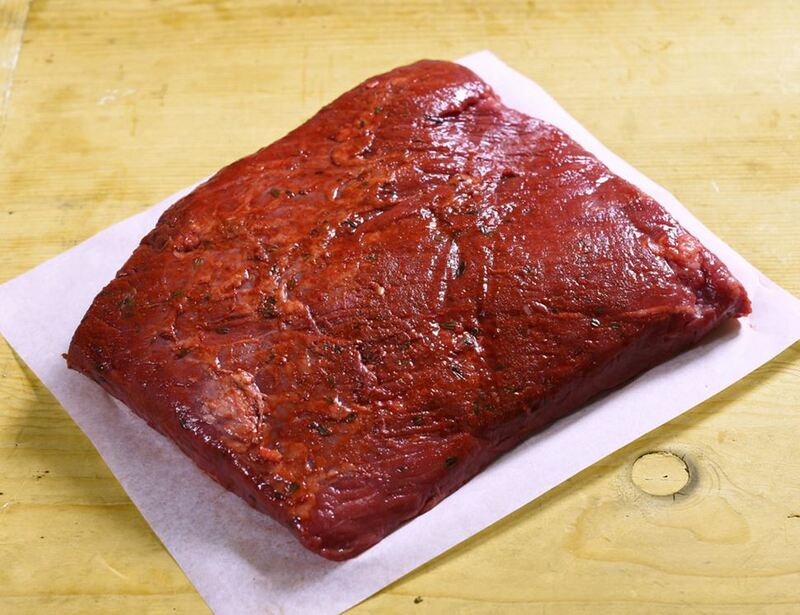 Now here’s something that will get mouths watering: an organic flat brisket joint, already a classic crowd-pleaser, that’s been pre-seasoned in a beautifully sweet and smoky way, to give it that little something extra. Just when we thought the folks at Eversfield couldn’t top themselves. Slow roast it in the oven and it’ll get beautifully tender, and all that lovely deep flavour will get drawn out. And for any barbecue aficionados out there, grilling this is a very good idea. You’ll want to sear each side over a high heat first, to give it a nice crispness, and then cook it for approximately an hour per pound.